Popular 4-card set produced by Nabisco in 1994, each comes with an LOA. 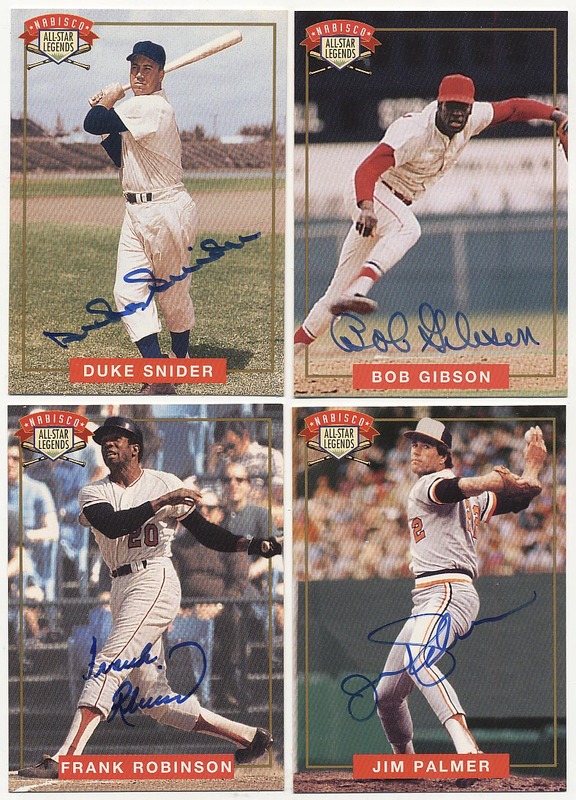 Only HOFers, players are: Bob Gibson, Jim Palmer, Brooks Robinson and Duke Snider. Condition is terrific, these came from an executive at Nabisco. JSA LOA.